Varming Consulting Engineers were commissioned to design the mechanical and electrical services installations for this 2 storey office building, naturally ventilated with the use of sustainable features. Crossflow Strategy in open plan office areas. Single Sided Strategy in cellular offices. 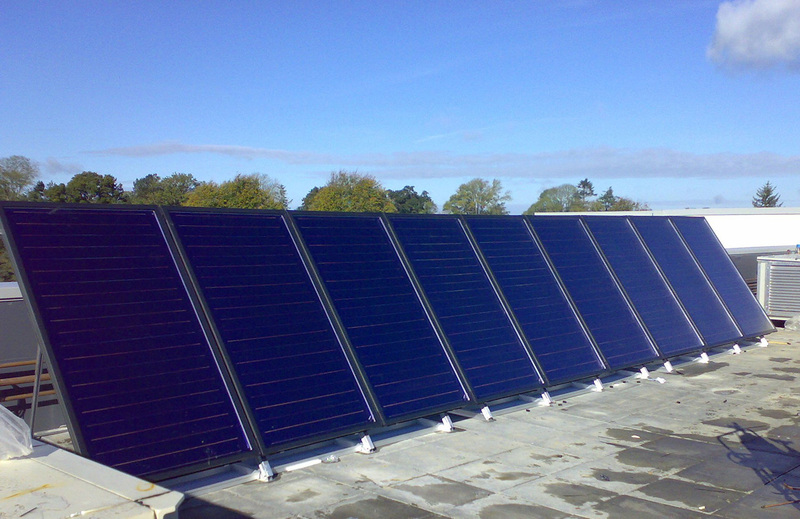 Solar Energy used to provide domestic hot water. Heat Recovery Ventilation Systems (where natural ventilation unachievable). High Efficiency Gas Fired Modulating Boiler Plant. High Efficiency & Low Energy Lighting and daylight maximisation. Fully Integrated Front End BMS system.